Intel’s blockbuster acquisition of Israel’s Mobileye last year is finally bearing public fruit: The combined companies unveiled their first autonomous vehicle at the Consumer Technology Association’s flagship event, CES, in Las Vegas on January 9-12. 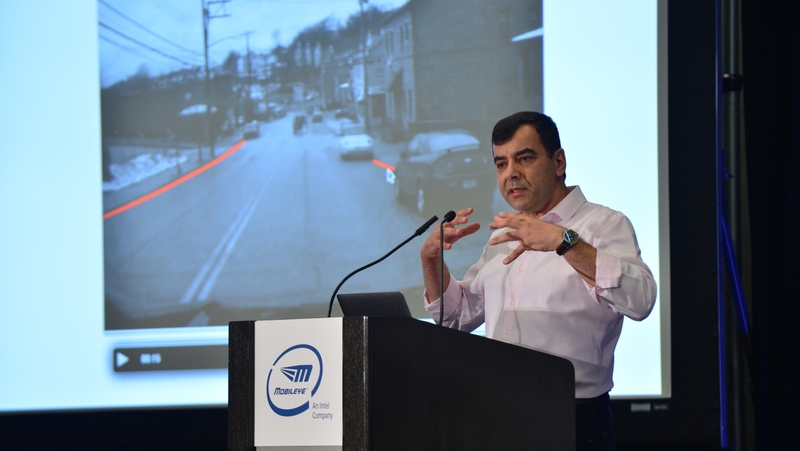 Mobileye develops the sensors and software that allow a car to know where it is in relation to its surroundings. That key component for the coming self-driving car age was the main reason Intel bought the company in March 2017 for more than $15 billion. 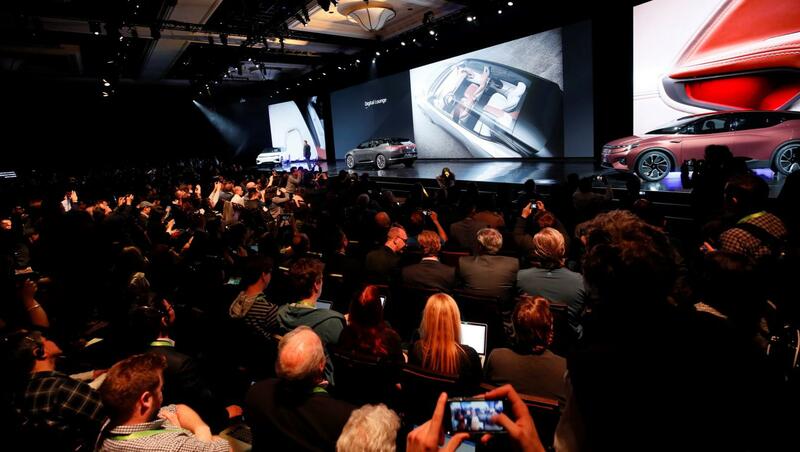 Prof. Amnon Shashua, Mobileye’s CEO and now a senior VP at Intel, shared the CES stage with Brian Krzanich, CEO of Intel, as a Mobileye-powered autonomous Ford Fusion drove onto the stage. The car is equipped with 12 cameras, radar and scanners that give it a 180-degree view from a distance of up to 300 meters. The Ford Fusion was just a prototype, but another Mobileye product is already installed in 2 million cars from BMW, VW, Nissan and eight other car manufacturers, Krzanich announced at CES. The technology – dubbed REM (for “road experience management”) – uses Mobileye sensors to draw high-definition maps of road conditions in near real time, crucial for both fully autonomous driving and the advanced safety systems of today’s cars. REM will be heading to the Far East, as well, through a collaboration Intel announced with carmaker SAIC to develop self-driving vehicles in China using Mobileye technology. Mobileye may have been the highest-profile Israeli technology cruising the Las Vegas Strip, but it was hardly the only startup from Israel to hitch a ride at the show this year. And for Israeli auto-tech, in particular, the convention center felt at times like a Las Vegas tailgate party. Ness Ziona-based Foresight showed off its QuadSight Vision product. Competing with Mobileye, QuadSight uses four cameras with two pairs of stereoscopic infrared and daylight cameras (which Foresight says exceed a human driver’s ability to see 3D objects in real time) to help self-driving cars avoid obstacles. QuadSight works regardless of inclement weather or poor lighting conditions.